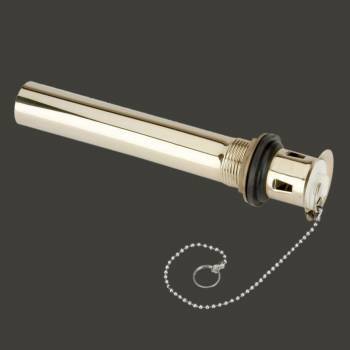 These pull out plugs have a white rubber stopper, brass chain, drain ring and rubber gasket. 5 1/2" long, 1 1/4" diameter pipe with overflow hole. Renovator's Supply Finish.